Following Europe's astounding Ryder Cup win, why not let the spirit of Seve overcome you... celebrate in truly flamboyant style with a trip to Catalonia in Spain, and play in the Catalonia International Golf Festival (CIGF). Managed by the team at Destination Golf (www.destinationgolf.ie), the CIGF has grabbed the attention of golfers of all abilities from all over Europe. This is a three-day Open Singles (Stableford) event, where anybody with an Official handicap can participate. You get to play in sunshine, in temperatures that mean the wearing of shorts is not ridiculed, on beautiful courses, with all the trimmings included in the price. Even Seve would be impressed. 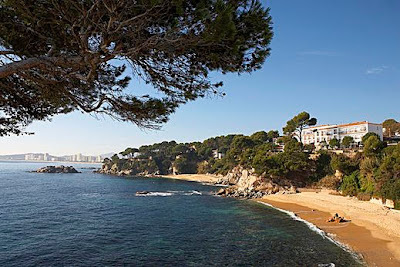 Between Tuesday 20th November and Friday 23rd November (see itinerary below), the lively seaside town of Platja d'Aro, in the Costa Brava, will host an influx of European golfers. This is a region popular with golfers for many years and, with Catalonia Tourist Board as the event's main sponsor, you can be sure the village, the restaurants, the hotels and bars will be ready and waiting to give you a few days of Spanish hospitality. The three tournament rounds of CIGF 2012 will take place at Emporda Golf Resort, Platja de Pals Golf Club and Club de Golf D’Aro. Over the three Stableford rounds, your two best scores will be taken for the prize-giving at the gala meal on the final night. It's about having fun, but you to get to play for prizes, too. So if you fancy a break away from Ireland's plunging temperatures, with some competitive golf thrown in and a bunch of like-minded people who want to enjoy themselves, then the CIGF is the perfect tonic... or should that be Sangria? Flights are not included - but the two recommended airports are Barcelona (Girona) and Barcelona (El Prat). Both are served by Ryanair from Dublin, with Girona flights also available from Cork. Aer Lingus fly to El Prat from Belfast, Cork and Dublin. Destination Golf are offering a 15% discount (i.e. €490) to any TopGolfer.ie players who wish to enter – be it as an individual golfer, group of golfers or a couple. In fact, a non-golf itinerary is also available for spouses, partners or friends. FREE DAY – Players Depart. Open Singles Stableford event for Ladies and Gents. Max Handicaps: Ladies 36, Gents 28 (but slope system will be used). Best 2 scores from 3 rounds will go forward for prizes. Barcelona (Girona) – 12 minute transfer to Official Hotel. Barcelona (El Prat) – 60 minute transfer to Official Hotel. Barcelona (Girona) - No Official Transfer. Players are advised to take a taxi to Official Hotel. Barcelona (El Prat) - Transfers will be provided from Barcelona (El Prat) on Monday 19th November at a discounted rate, with two different evening departure times. Please contact Official Tour Operator for more details.